Baking soda chemically called as sodium bicarbonate is known for its use in baking as a leavening agent. Along with its use as a raising agent, it has various other uses and benefits. It is used alone as well as with other ingredients for various purposes and one of those ingredients is lemon. Baking soda when mixed with lemon becomes more powerful and useful. 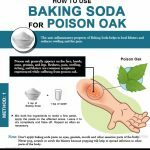 So, to take advantage of the countless benefits of baking soda and lemon, read this full article and know how to use it. Baking soda and the lemon mix is considered safe when taken in the right proportion and at the right time. Excessive and regular use of this mix for a longer period of time may harm you. It may also be harmful to sensitive skin, so always do a patch test before applying it on your skin. In a small bowl, mix half a teaspoon of baking soda with 3-4 drops of lemon to make a paste. Using a toothbrush, gently brush your teeth up/down with this paste for at most 2 minutes (brushing it for more than 2 minutes can begin to erode your teeth enamel). Rinse your mouth with water or mouthwash and rinse your toothbrush too. So the paste formed by mixing both the ingredients removes stains from the teeth surface making them appear whiter. Best time: Repeat this activity every other day in the morning. How many days it will take to solve: 1-2 weeks. Mix two teaspoons of baking soda, one teaspoon of lemon juice, one teaspoon of honey and stir well until you get a runny paste. Wash your face thoroughly and apply the scrub. Gently and firmly massage with your fingers. Let it stay on for 8-10 minutes, and then rinse with water. Pat your face dry and apply a light, oil-free moisturizer. Repeat this process twice or thrice a week to whiten your face. How it helps: The combination acts as a bleaching agent, it deep cleanses the skin making it whiter, softer and shinier. Best time: After the sunset. How many days it will take to solve: About a month. Mix two teaspoons of baking soda with one teaspoon of lemon juice. Add one teaspoon of honey and mix well until you get a runny paste. The scrub made with baking soda and lemon juice can penetrate deep into the pores and clears the impurities that cause blackheads. Cleaning and tightening the pores can prevent blackheads from forming. How many days it will take to solve: About 3-4 days. Baking soda is an excellent base for acne treatment particularly when mixed with lemon. It removes dead skin cells, dirt, and oil from the skin helping to unclog pores and preventing acne. How many days it will take to solve: 2-3 days. Mix 2 teaspoon of baking soda, and 2 teaspoons of fresh lemon juice and apply to the face leaving your eyes. Leave it on for about 10-15 minutes, then wash it off with cool water. Pat your skin dry and apply a light, oil-free moisturizer. Initially apply it for 2-3 days, afterward, reduce the frequency to 1 or 2 times a week. 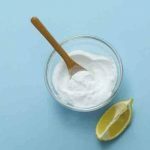 How it helps: Baking soda and lemon juice mix has exfoliating, dirt cleansing and skin lightening properties which work together to reduce acne scars. Mix 2 tablespoons of baking soda and 1 tablespoon of lemon juice, stir well and apply it on your face leaving the eye area. Gently rub the mask in slow and circular motions. Leave it on for 10-12 minutes, then wash it off with cool water. Apply a light, oil-free moisturizer on your face. How it helps: The combination acts as an oil absorbing agent, absorbs and clears excess oil making your skin oil-free. How many days it will take to solve: Continue using this mask not more than once a week to keep oily skin in check. Mix 1 teaspoon of baking soda with 1 teaspoon of lemon juice and stir well to make a paste. Rub it on your underarms using a cotton ball. Let it stay on for 5-10 minutes and then wash it off with water. Baking soda is a natural deodorizer, it helps absorb moisture and sweat from the skin and helps kill bacteria that give rise to odor. Cleansing action of lemon juice helps lighten dark underarms. Best time: After taking a bath. How many days it will take to solve: Continue using this mix twice a week to get rid of body odor. Mix 2 teaspoons each of baking soda and lemon juice to make a paste-like product. Take more quantity if you have longer hair. Using your fingers, apply this paste on your hair strands. Leave it on for 5-7 minutes, then rinse off with water. Apply this paste 2 times a week to remove your hair dye. How it helps: Both lemon and baking soda contain bleaching properties which can effectively remove or lighten your hair color. Best time: Before applying shampoo. How many days it will take to solve: 2-3 weeks. Mix 1 tablespoon of baking soda with 1 teaspoon of fresh lemon juice. Stir well to make a fine paste and then apply it on your stretch marks. Let it stay on for 4-5 minutes to dry naturally. Wipe out the mix using a clean wet cloth. Repeat the same process twice or thrice a week until your stretch marks disappear completely. How it helps: This combination helps to exfoliate the skin to clear dead skin cells reducing the appearance of stretch marks. Best time: If you have stretch marks in the area which cannot be covered under your clothes, then you should apply it after the sunset to avoid exposure to sunlight. How many days it will take to solve: 1-2 months. Add the juice of half an organic lemon and half teaspoon of baking soda to a glass of purified water. The combination of baking soda and lemon has anti-carcinogenic properties as it contains limonoids which help strip off the protective layer coating cancer. Lemon also contains citronella terpenes, an essential oil that stop the growth of cancers. Best time: Half an hour before and at least 2 hours after a meal. How many days it will take to solve: Drink it daily for 6 days on and 6 days off until you are able to get your pH levels between 7-8. Squeeze 3 lemons in 1-liter water and add 1 teaspoon of baking soda to it. Stir well and pour it into a bottle. Store this drink in the refrigerator and drink it throughout the day. Repeat this process for 6 days on and 6 days off until you reach your desired weight. How it helps: The combination of baking soda and lemon produces an alkaline effect in our body which speeds up the metabolic process and allows us to burn more fat, thereby, promoting weight loss. How many days it will take to solve: It will take just five days to cause your muscles burn more fat. 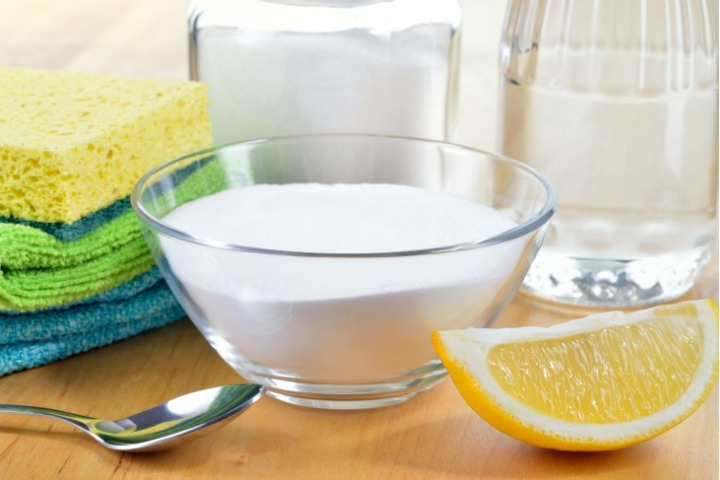 Add a ¼ tablespoon of baking soda and 1 tablespoon of lemon juice to a glass of water and mix well for about 2 minutes. Drink it 2 times a day to get relief from gout pain. How it helps: Baking soda and lemon mix dilutes the uric acid in the urine, thereby preventing gout attacks. How many days it will take to solve: 3-4 hours. Add 1 teaspoon of baking soda, 1 tablespoon of lemon juice and ⅛ of salt to a glass of water. Repeat this activity 2-3 times a day. The combination stimulates the release of excess air from the body and relieves bloating and flatulence. It neutralizes acids and alkalizes the stomach making it easier for stools to pass through the intestines. How many days it will take to solve: 5-6 hours to 1-2 days. Add 1 teaspoon of baking soda, juice of half a lemon and a pinch of salt to a glass of warm water. The combination reacts with stomach acid and produces carbon dioxide and another gas. This allows us to belch and helps us get rid of gas. Best time: You can drink it whenever you suffer from gas, but remember not to drink it immediately after the meal. How many days it will take to solve: Just a few seconds. Mix 2 teaspoons of baking soda with 1 teaspoon of lemon juice to make a thick paste. Apply the mixture to your toenails and leave it on for about 15 minutes. After 15 minutes, rinse it off with water and pat dry. How it helps: Baking soda and lemon juice mix creates an alkaline environment which clears the fungus and prevents it from spreading. Best time: Every morning and evening. Heat 1 cup of water and pour it into a cup. Add ½ teaspoon of baking soda and the juice of a lemon to it. Stir well to dissolve the baking soda and sip it as you drink a herbal tea. Baking soda and lemon work together to treat a sore throat. The alkaline effect of baking soda helps soothe irritated skin and reduce inflammation while antibacterial properties of lemon help reduce throat pain and shorten the duration of illness. How many days it will take to solve: It takes 3-4 days to heal a sore throat caused by a bacterial infection while 5-6 days to cure a sore throat caused by a viral infection. Add ¼ teaspoon of fresh lemon juice and 1 teaspoon of baking soda to a glass of water; stir well and drink. Take 1-2 teaspoons of coconut oil after 15-20 minutes of consuming this drink. Continue drinking it twice daily to get relief from yeast infection. How it helps: This combination has anti fungal and antiseptic properties that fight against the fungus or yeast, thereby healing the infection. Best time: On an empty stomach. 1 glass of mineral water (neither too hot nor too cold). Dissolve a teaspoon of baking soda and the juice of half a lemon in a glass of mineral water (neither too hot nor too cold). Drink it whenever you suffer heartburn. The combination acts as a wonderful antacid and treats bloating, cramping, indigestion and heartburn. It prevents inflammation improving the health of your gut. How many days it will take to solve: A few seconds. Mix 1 teaspoon of baking soda with 1 teaspoon of lemon juice to make a paste. Take a little amount of the mixture on a cotton ball and apply it on your cold sore. Either hold the cotton ball on the sore for a few minutes or fix it with a medical tape. Repeat this process twice or thrice daily to heal cold sores. 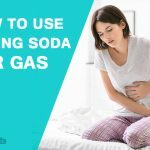 How it helps: Baking soda and lemon mix helps heal cold sores by drying them out and pulling away acids that irritate the area. Best time: Apply it at the time when you do not need to come out in the sunlight as this mix can make the skin sensitive to the UV rays of the sun. How many days it will take to solve: 3-4 days. Add 1 teaspoon of baking soda and juice of half a lemon to a glass of water. Drink this water twice a day 6 days on and 6 days off. Baking soda and lemon drink aids your diabetes treatment by cleaning the intestines and helping to restore the pH balance in the body. It controls blood sugar levels and helps treat diabetes. Best time: Morning and evening on an empty stomach. How many days it will take to solve: This drink will give you relief within a few days. Although baking soda and lemon mix is safe to use, it is always recommended to consult your doctor before adding it to your health regimen, as it can interact with your medications and can harm you. While applying on face, it is normal to feel a bit of tingle on your skin, but if you feel a burning sensation, then wash it immediately and do not try again. Remember, baking soda and lemon mix is not a permanent solution to your health problems. However, it can help you get temporary relief. If you do not get relief even after using this remedy for a period of time, then we recommend you to take an appointment with a doctor.